This photo was recently posted on Facebook. It shows Staff Sgt's Denzil Cooper and Les Cole. 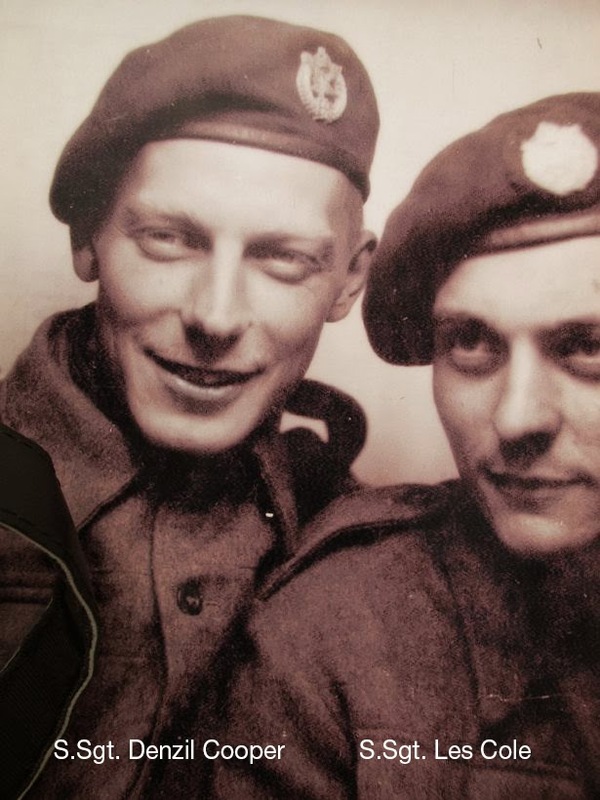 Of interest here are their cap badges; Denzil is clearly wearing the plastic 'economy' badge whereas Les is wearing what looks like an embroidered badge with a cloth backing of some sort, but could this be a regular metal AAC badge with a cloth backing? If anyone has any further thoughts please get in touch.